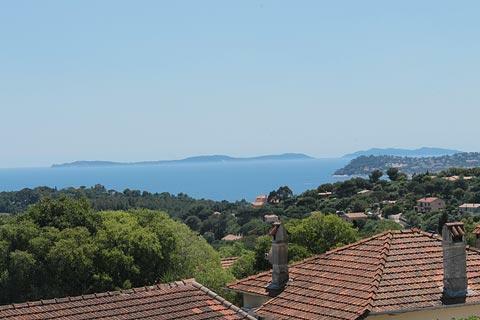 La Croix-Valmer is a small town on the Cote d'Azur south-west of Saint-Tropez, in an attractive location with beaches backed by the pine covered Maures Massif, a substantial part of which is now a protected reserve. 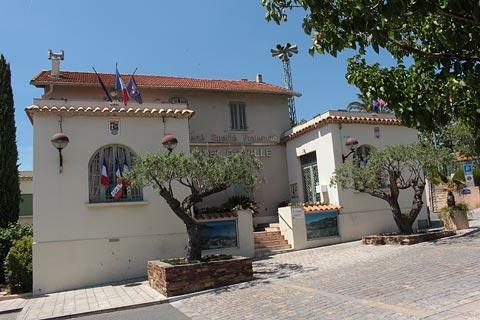 The town itself has some interesting 'belle-epoque' (early 20th century) villas to see, of which the imposing Maison des Peres du Saint Esprit and the Orangery are the most impressive, but it is true to say that it is the coast, the beaches and the scenery that attract the crowds during the summer months rather than the architecture. 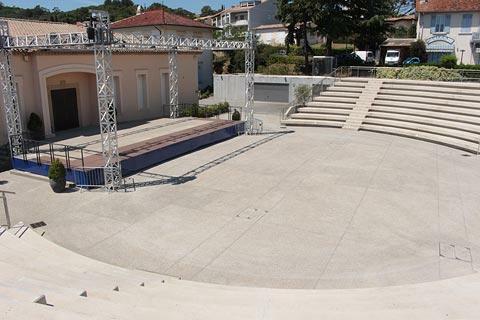 There is also a small open air theatre where performances can be held in summer and some apartments and cafes, and views along the coast to the Iles d'Hyeres, but there is little to detain you in La Croix-Valmer town. 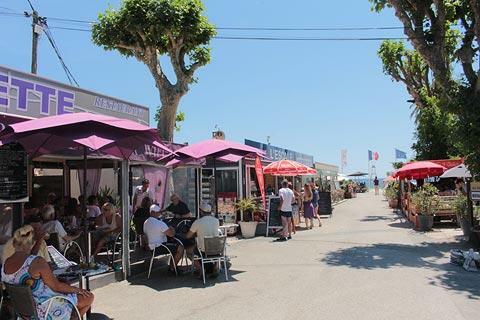 There are several high quality beaches at La Croix-Valmer extending over several kilometres of coastline and in a lovely setting with rocks and trees as a backdrop. The water here is beautifully clear and the beaches are sandy, and have been awarded the 'blue flag' for cleanliness and facilities, which includes free shuttle buses from the town to the most popular of the beaches. From west (near Cavalaire-sur-Mer) to east the beaches at La Croix-Valmer are: Plage du Debarquement; Plage de la Bouillabaise; Plage du Vergeron; Plage de Sylvabelle; Plage Héraclée; Plage de Gigaro; Plage de Jovat and Plage des Brouis. 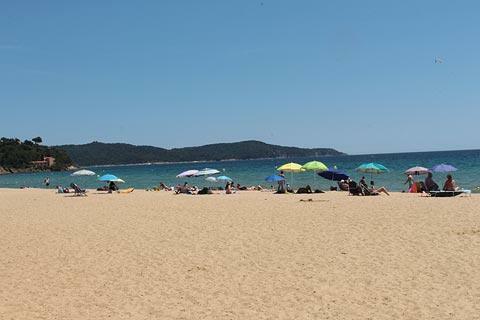 The best known and most visited of these beaches are the Plage de Gigaro and the Plage du Débarquement. 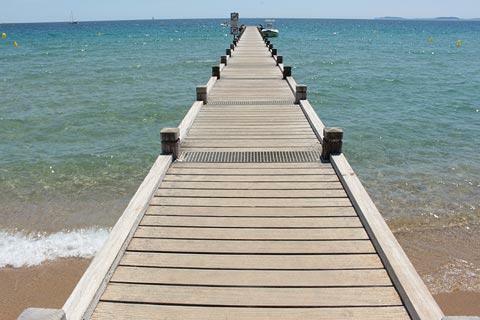 These two beaches have full facilities and can become quite busy in summer while some of the others are much quieter and have less or no facilities - the choice is yours! In fact we recommend that during your visit we explore as many of the beaches as possible since they are really quite different in character, and Plage Sylvabelle (involves walking down a flight of steps to get to the beach), Plage Brouis (the most undiscovered and wild of the beaches, beyond the Cap Lardier headland to the south-east and almost an hour walk to get here) and Plage Héraclée are also all very lovely if smaller than the principal beaches. Interesting to remember when you are here - the beaches around La Croix-Valmer were important landing beaches during the invasion of southern France towards the end of the second world war, in particular the Plage du Débarquement. When you want a change from beach scenery there are some very attractive coastal paths to follow starting here, with frequent views across the Gulf of Saint-Tropez and the many different facets of the coast here, including Cap Taillat (shown in photograph above). 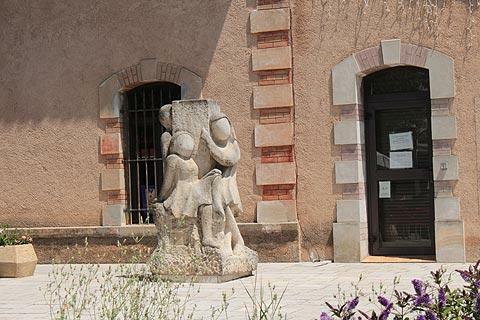 Walks in the Massif de Maures hills are also very attractive. 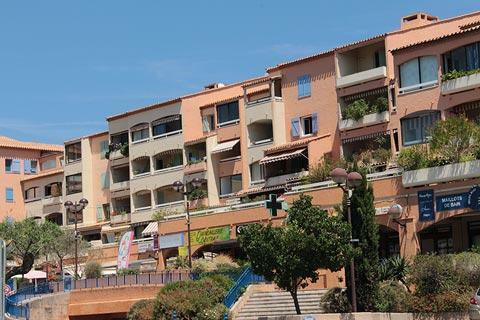 You should also visit the villages at Gassin and Ramatuelle, both very picturesque and with far reaching views across the coast and the Mediterranean, at less than five kilometres from La Croix-Valmer, and the lovely Port Grimaud, town on the coast nearby that is reminiscent of Venice.